Come lemme take you to a place as pretty as your face! Maybe I'm a summer too late on my end, but never too late to share! 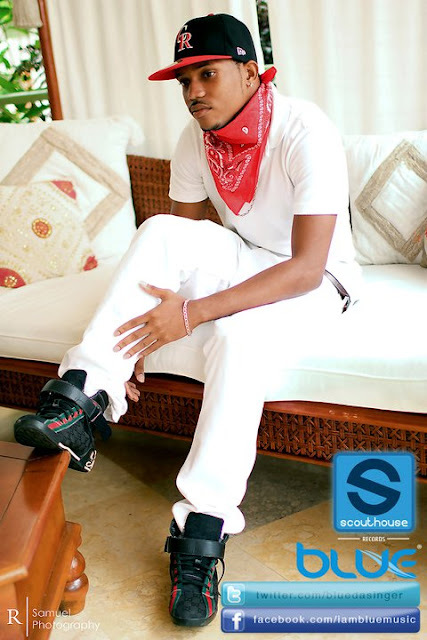 Saveion “Blue” Georges is a St.Lucian SINGER, SONGWRITER and PRODUCER. Born June 15, 1990 as Saveion Cherick Georges, the twenty-one year old since summer of 2011 has been celebrated as both a genius songwriter and incredible vocal artiste with international appeal. Saveion Georges, with his younger brother Gylan Georges, were raised in a single parent household by Janice Georges in the city Castries, St.Lucia. Though raised aptly by his mother, Saveion and his father Rufus Moncherry have always maintained an affable relationship. “Blue” debuted “Caribbean ladies,” a lady’s anthem (particularly the likes of those with Caribbean heritage) which spiraled over social media sites such as Facebook, Twitter and Youtube. The feedback for this first release was immense and intensely supportive of the artiste. After receiving video responses of various dance solos the new young artiste would advance toward doing a music video as further support to the club hit. The hit song was produced by another St.Lucian, Johann “Yogi” Deterville of Studio 9 Production who is the executive producer for the mixtape “Blue” is currently working on, called “The Re-Invention”. Saveion Georges’ interest in music and songwriting began in his early teenage years - his skills and style maturing just as he, throughout his time is high school and college. At Leon Hess Comprehensive Secondary School (high ranking in the island’s academia), Georges was reputable for his superior level of sportsmanship and earning the title of sportsman for his graduating year. Hence, Blue’s gravitation toward a musical career only came as a pleasant surprise to most but nevertheless was well received and supported. Blue’s music became more popular as it grew in many clubs, played at various events and radio stations locally and regionally. The commercial sound attracted the ears of major industry representatives producers and artist as well, who soon made contact with Blue and have contributed tremendously in Blue’s career. Up to date blue has collaborated with many mainstream artistes and producers. Saveion’s deeper exploration of music was probed by not only family, but inspiration taken from other young home artistes making a musical impact, not only in St. Lucia but abroad. Now achieving considerably the same acknowledgement than those who inspired him, “Blue” uses his home island, St.Lucia and the people’s support as motivation to continue seeking out a career in music as a singer and writer. Georges pledges that his career is a marketing instrument for St. Lucia and would work toward improving the country’s importance and recognition in world entertainment. ... And here's another unofficial video, showing more of St.Lucia!